TORONTO, ON – After more than five years of planning, delays, and long-running construction, Kensington Brewing Company (KBC) is finally on the cusp of shifting from contract brewing to its own bricks-and-mortar location. 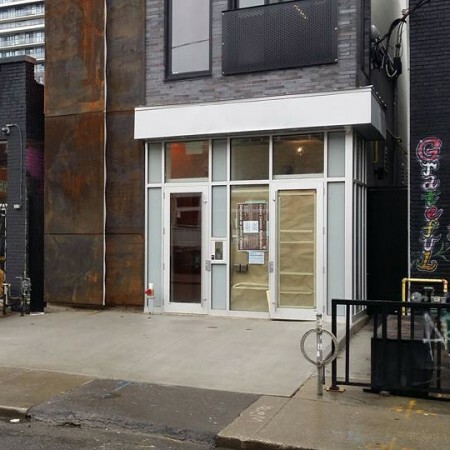 As reported by NOW Magazine, the KBC facility at 299 Augusta Ave. in Toronto’s Kensington Market neighbourhood is expected to open at the end of May, with vice president of operations Michael Gurr telling NOW that the brewery will “introduce new pale ale, sour and saison styles” alongside the core Augusta Ale, Fisheye IPA, and Market Pils brands. Once open, KBC will feature a retail store and 40 seat taproom, with a 20 seat patio planned for later in the summer. Food will include charcuterie boards from nearby Sanagan’s Meat Locker, sandwiches, and other cold snacks. The article also notes that two other brewery projects are planned for the area, with Collective Arts rumoured to have taken over the former Zimmerman’s Freshmart space at 241 Augusta Ave., and Michael Duggan of Duggan’s Brewery set to oversee a small brewing operation at B2B (Beer to Beer) at 319 Augusta Ave. The latter is coincidentally in the former home of Burger Bar, the restaurant where where owner Brock Shepherd originally founded KBC, although he is no longer involved with the company. For more details, see the full article at NOW Magazine, as well as an earlier article on Ben’s Beer Blog that broke much of this news, and watch the KBC Facebook page for further announcements.